Lunawood strengthens its sales organization in Nordic countries and regarding the technical expertise of the products. Juha Bergman, Bachelor of Engineering in Mechanical Wood Processing, has been appointed Area Manager as of the 17th of September 2018. After the induction period, Juha will be responsible for Swedish and Norwegian markets and part of the domestic customers who will be decided and communicated later on. Juha has made a long and successful career in the sawmill industry both in sales and production. His latest job has been Sales Manager at Organo Wood Finland Oy. Juha’s office is in Kaskinen and he reports to Sales Director Janne Heikkinen. 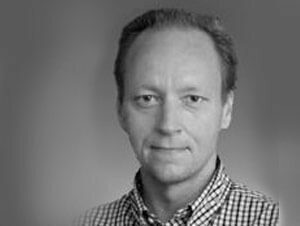 Product Manager Jussi Vartiainen will become a part of Lunawood’s sales organization as of the 1st of September 2018. Jussi’s responsibilities remain the same, but with this change, his professionalism can be utilized better in customer service and sales support. Jussi reports to Sales Director Janne Heikkinen and his office is in Iisalmi.